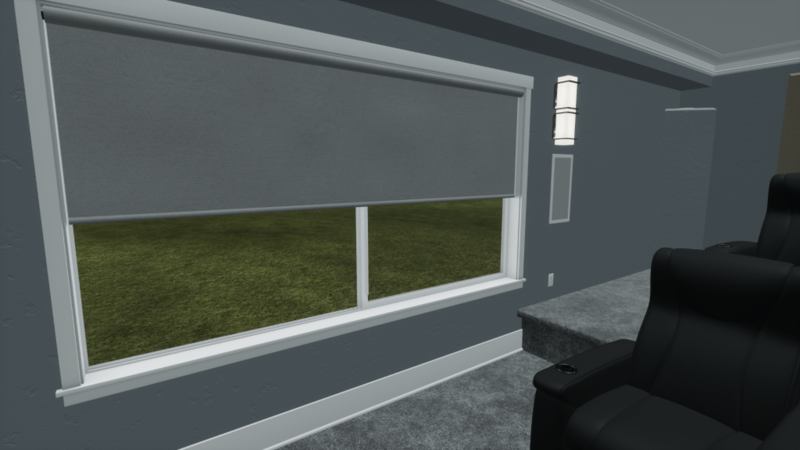 We are excited to bring you windows, shades, and more! Windows are a great addition to Modus VR and will be particularly useful in media rooms. 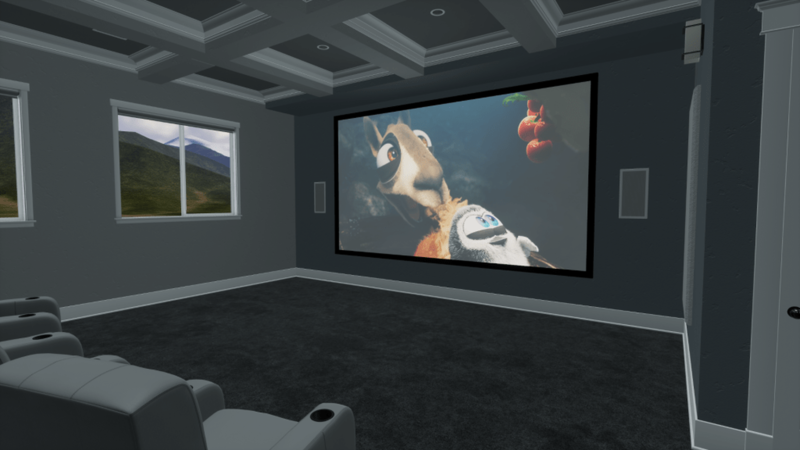 They add an additional level of immersion and excitement to your client’s experience as well as help you demonstrate the affects of ambient lighting. This release includes 8 new features and 4 fixes. 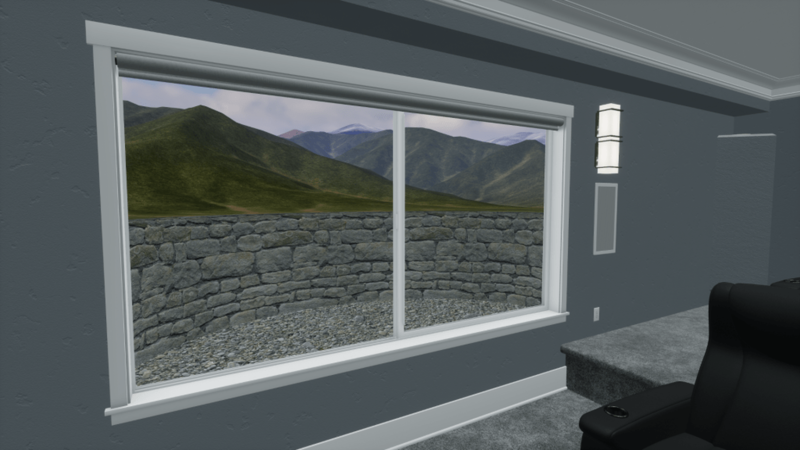 Windows look out on a pleasant mountain landscape with a property to add a well at varying heights. Select the window and change the well’s height in the properties tab of your menu. Motorized shades! The global tab of your menu has a shades slider. This helps to demonstrate to your clients the value and convenience of shades and the importance of controlling ambient light. The windows let in a lot of ambient light so be mindful of how this may impact projector screens. 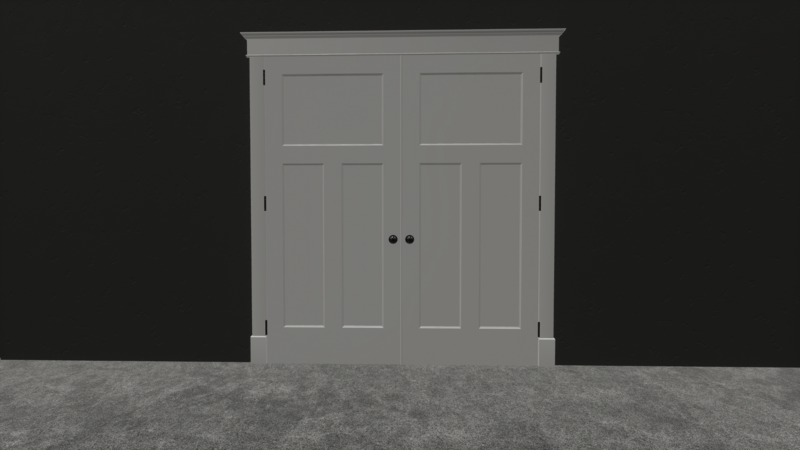 In addition to left and right swing, doors now have an option to become a double door. 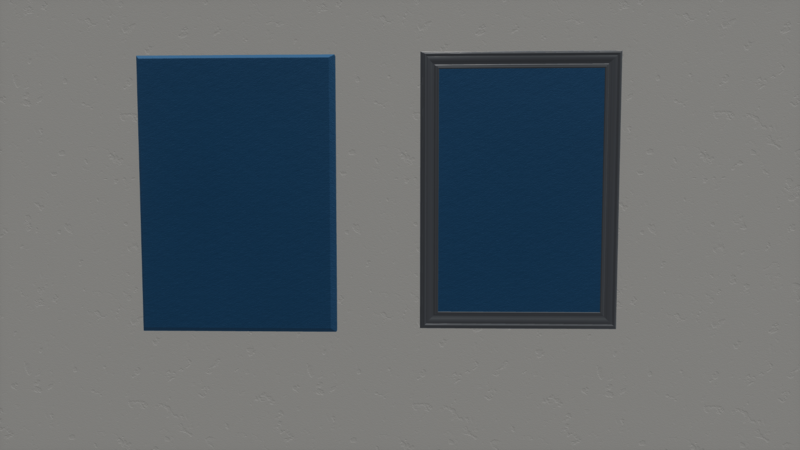 Acoustic panels now have optional trim. Saved spaces now store the state of lighting. Lamp shade color can now be changed. Fixed the selection box not updating immediately when a seat’s configuration was changed. 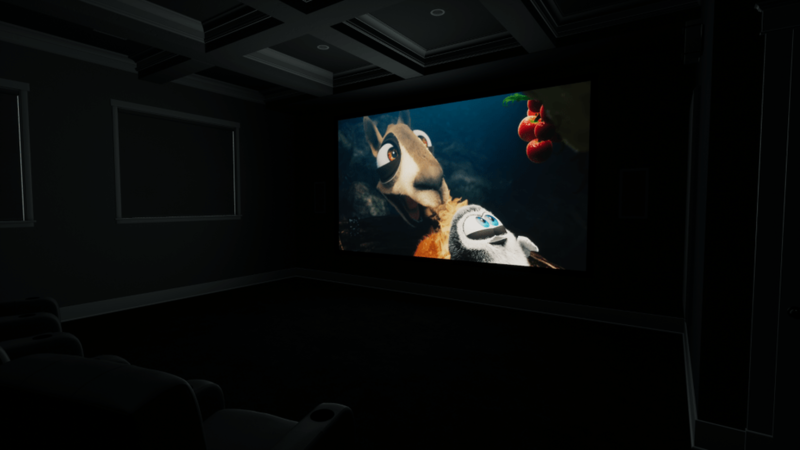 Fixed broken CAD export on Cineak seats and ottoman. Doors and projector screens can no longer be rotated. Several miscellaneous fixes for CAD export.